What is LEND A PAW? 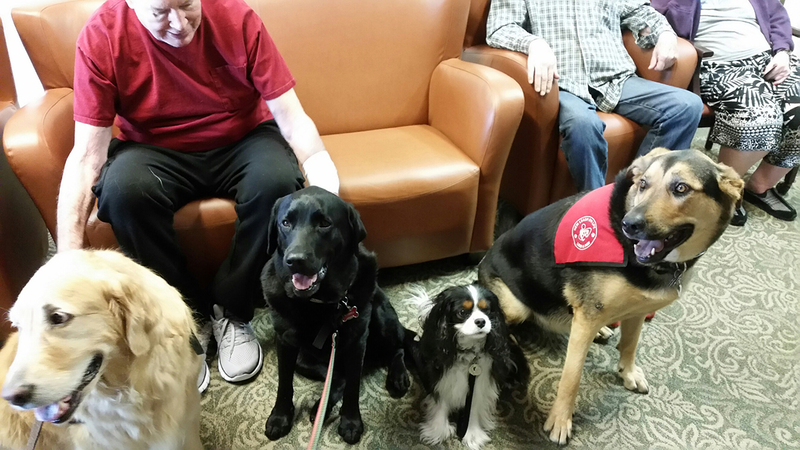 Since 2005 LEND A PAW has served to enhance the lives of individuals experiencing physical, mental, emotional or life challenges by providing social and therapy dogs to offer assistance, warmth, compassion, unconditional love and a healing environment. A Therapy dog is a balanced and obedient dog with a specific temperement and disposition highly trained in life skills to operate in any environment to provide emotional support to an individual. Additionally they are wonderful companions and part of the family. Each dog is temperament tested, put through a rigorous training regiment and is certified. These special dogs are trained to maintain focus and respond to direction despite distractions. These dogs can promote improvement in human physical, social, emotional, and/or cognitive functioning. What is the difference between a Therapy Dog and just a trained dog? Our Therapy dogs have completed an extensive training standard including obedience, advanced and life skills training and have passed testing and obtained certification. .
What is the difference between a Therapy Dog and an Emotional Support Dog? A Therapy dog has a handler and together, as a team, they provide canine assisted therapy to others in need. An Emotional Support Dog is trained specifically to provide personal service to one individual. Can I use my own dog for therapy work?